Major was rightly proud of his finishes (see Alvin’s Articles). The stove enamel he used was supplied by Trimite. The formulation he used is no longer available in the range or component elements. Trimite were and still are, a US company but now producing modern, less harmful paints. A finish can be replaced, but in our view unless there is a real need, the historic value is best maintained by sympathetic touch up, conservation and a modern conservation wax coating like Renaissance micro-crystalline wax polish. Dave Clement, who was Major’s finisher for a period in the early 1960’s may be prepared to add tips to this record and is duly credited for the information here. At a later date we will be adding information on paint detailing, colour combinations, topeyes and their decoration, lug lining, panels and other features to follow. Some of the out of focus photos will also be replaced as we source better ones. 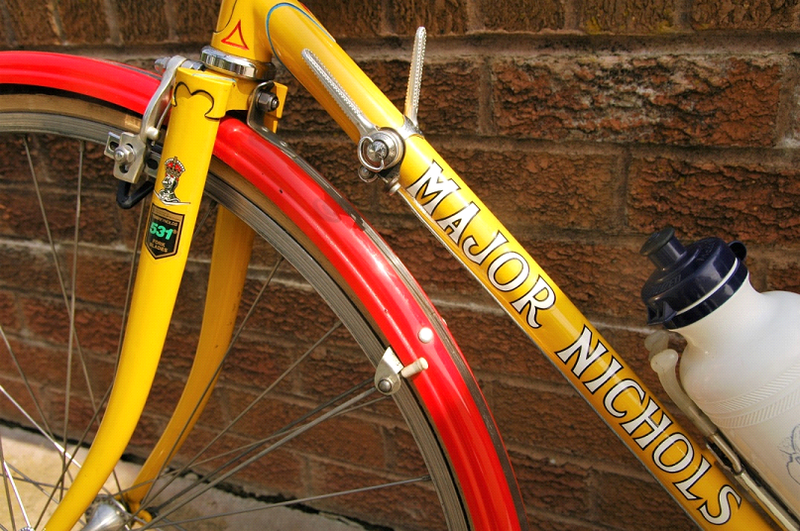 Transfers say a lot about a bike and Major’s were no exception. We have been specifically researching his finishing touches for a year or so and there have been interesting developments that have emerged so we thought it sensible to start a proper record. 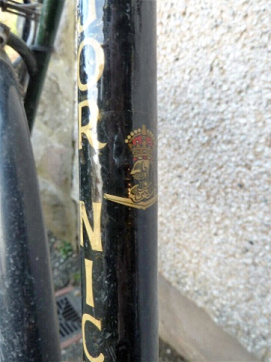 We are gathering a photographic record to supplement Alvin’s ‘official’ collection as Marque Enthusiast for the Veteran Cycle Club, resulting in a substantial number of bikes being discovered or rather being rediscovered and this has revealed several key transfers which were lost from our knowledge. 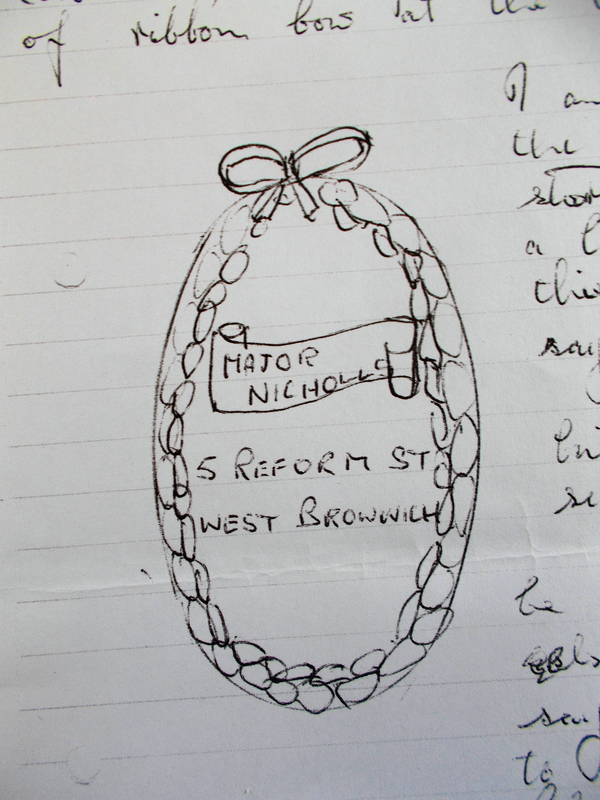 This is our present review of Major Nichols’s transfers starting with his father E D Nichols’s brand, Mazzepa, then through his long career at Reform Street, West Bromwich and finally Durban Road, Smethwick. To get here we have had to make assumptions relating to chronological order of these based on the frame numbers of bikes which have been found, on hearsay and finally on style. It will always be work in progress. 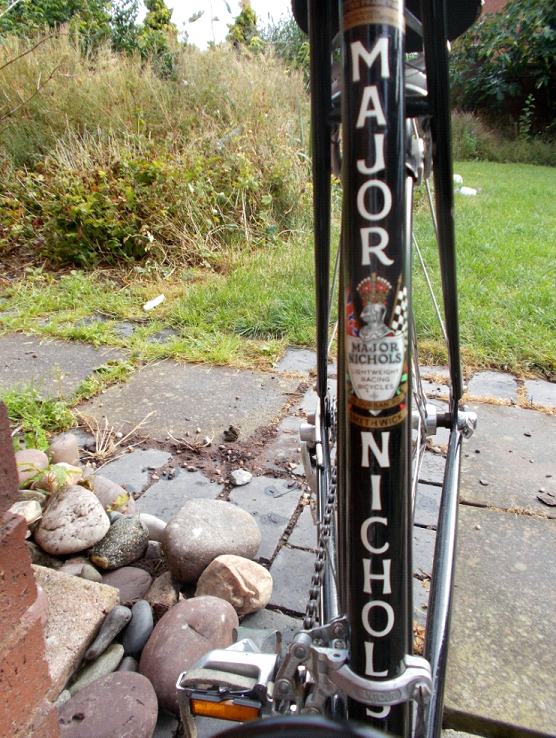 This work was mostly prompted by a recollection of an early member of the Hill Top Club, Mike Nightingale who told of a head badge with a wreath rather than flags. Here is his sketch. Major’s father, from whom he inherited the shop and business, was Edward Douglas Nichols. He was born 1 October 1873 and died 29 November 1947. From 1943 his profession was recorded as Mechanical fitter until 1938, at retirement age he was recorded as Cycle maker. We understood his bikes were bought in and badged as a Mazeppa. 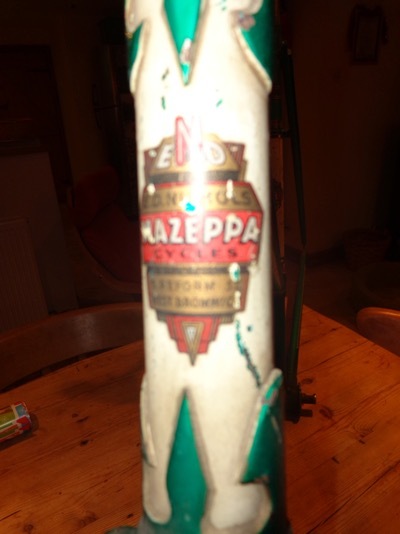 Mazeppa down tube transfers were found in Major’s Reform Street shop. 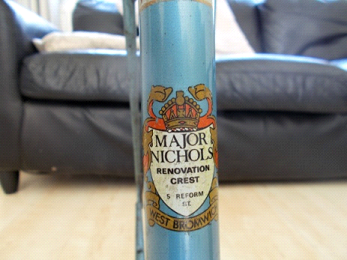 The ‘shop record’ for Major Nichols began in 1956. Importantly we know of 3 bikes that were built before this date, two of which have a 1954 number and this gives us the beginnings of what appears to be a somewhat disjointed timeline of transfer availability and use. 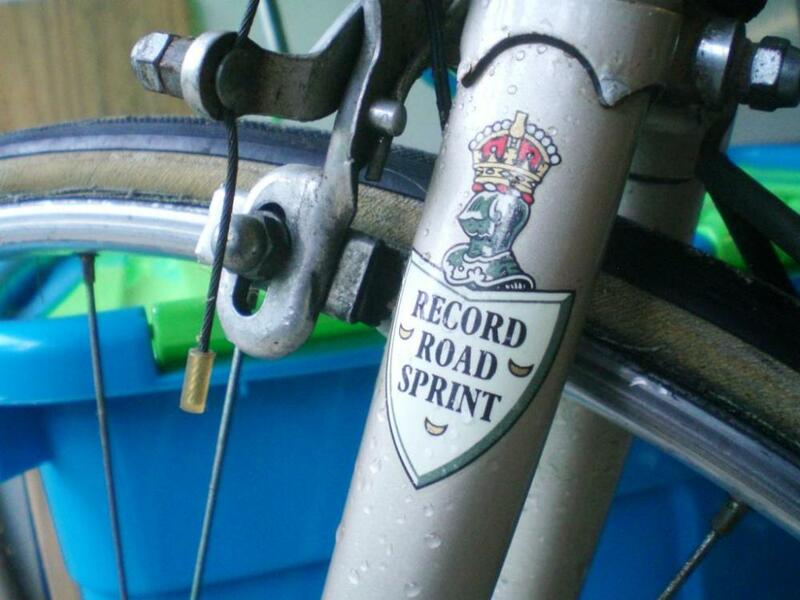 Post 1970 we have no formal data and rely on bike numbers which can be questioned and at best receipts. 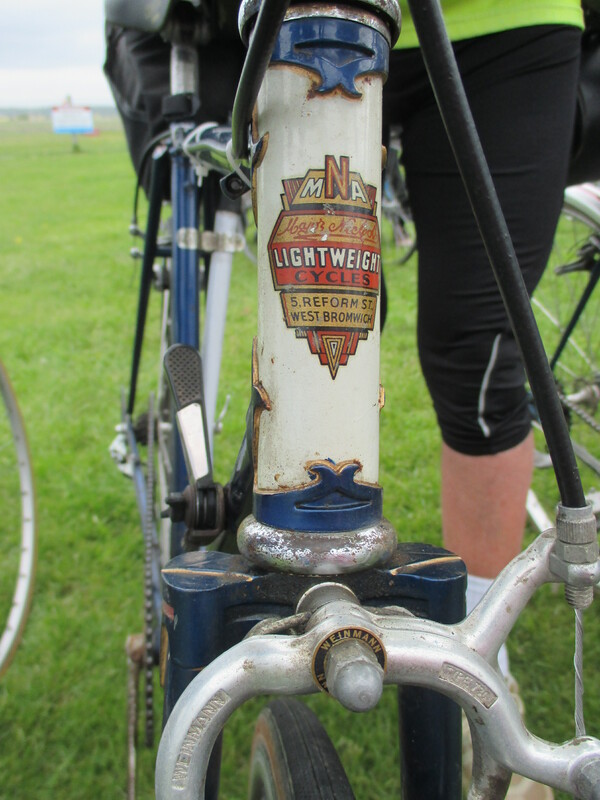 This new find came on a beautiful circa 1950 Ladies Sports frame together with a down tube Mazeppa transfer which shows the development source of Major’s MNA transfer. Mazeppa was clearly in use by Major in his finishing room until the formal name change became a transfer reality. 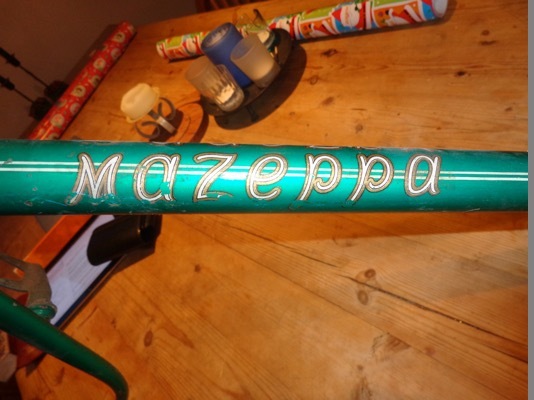 A Mazeppa white and gold with black outline down tube transfer on the green Mazeppa. Alvin has some found in Major’s shop and has put one on an unknown make roadster. Let us know if you have ever seen one. It is a transfer used by Major’s father and Alvin tells the story in his Black Country Magazine Article. It also sets the background of Major and his career. Recommended reading! 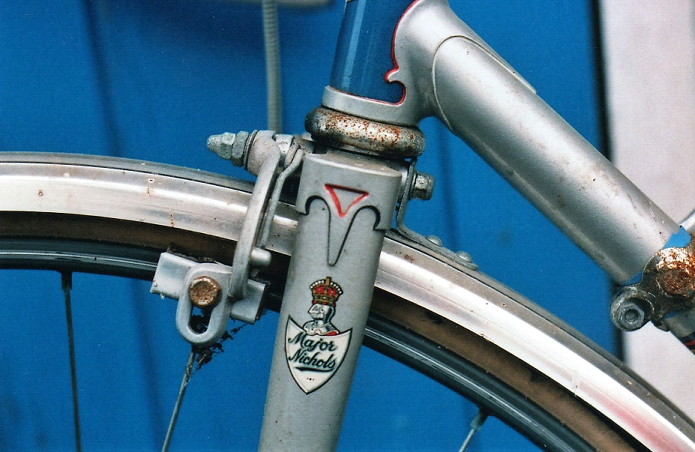 This beauty is only one of a pair of examples on a late 40’s very early 50’s bike from the beginning of Major’s frame building career we think. The Major Nichols Autograph Script transfer is early we think, but have no evidence of its use until the1960’s. It is in the style used by F.C. Parkes of Sun Cycles, Birmingham for his own name hand built lightweights and was certainly used throughout Major’s post 1950’s career. There were two colour Autograph Scripts we have seen and these were in white with a black outline and gold with a black outline. The latter are not available off the shelf presently. 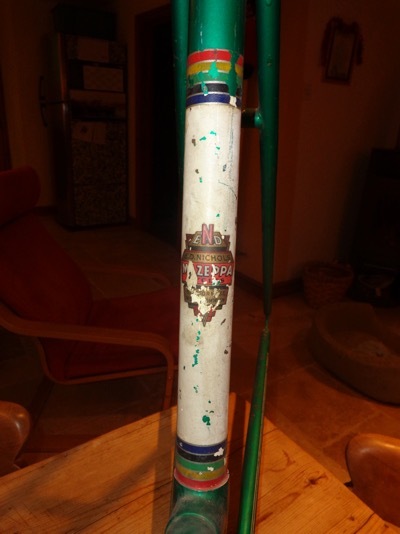 It began use as a down tube transfer and with the introduction of the gothic script became an additional item to show a frame with which, we understand, he was particularly pleased, often by being placed to the top tube as a single addition at an angle across the top. 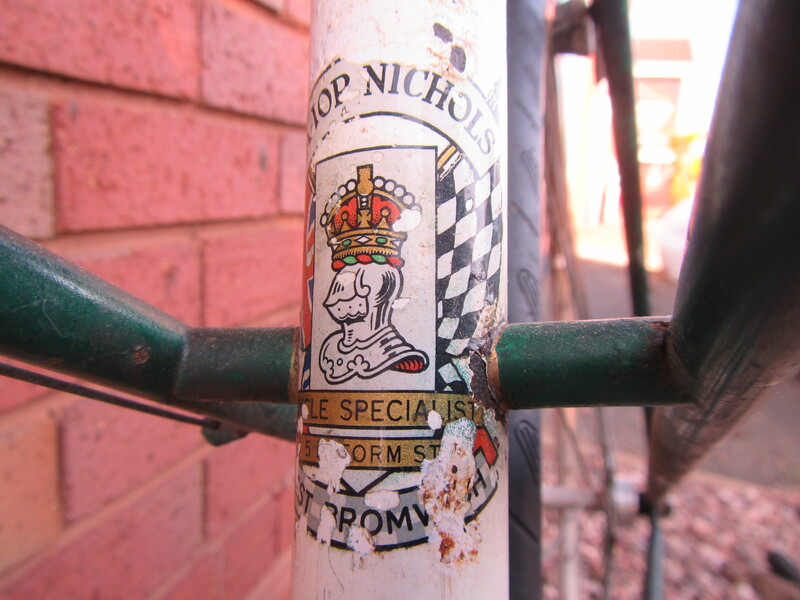 It was also used as a chainstay decoration when these were in vogue on his better custom frames through the 1960’s into the 1970’s. 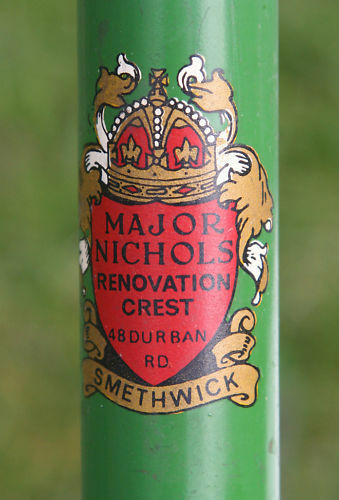 The Wreathed Knights Head and Shield was first ‘rediscovered’ on two identical early 1950’s Gameson built frames in Major Nichols livery and a third unknown frame which may or may not be a genuine MN frame. 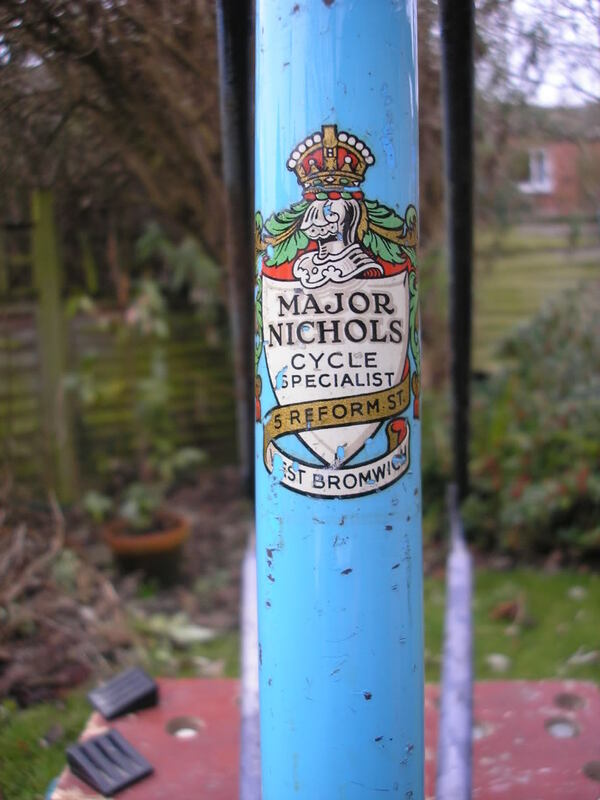 Certainly used in the 1950’s through to the mid 60’s and just possibly used as a refinish badge for frames he liked. This is the rare first version we suspect of the flag series. It is early, but these are on the 63 Mixte. Certainly used from the mid 1950’s until 1970 and into 1971. These are the ones everybody recognised as his head and seat tube badges from his West Bromwich Shop. These were available in two sizes, large and small, as on this frame. 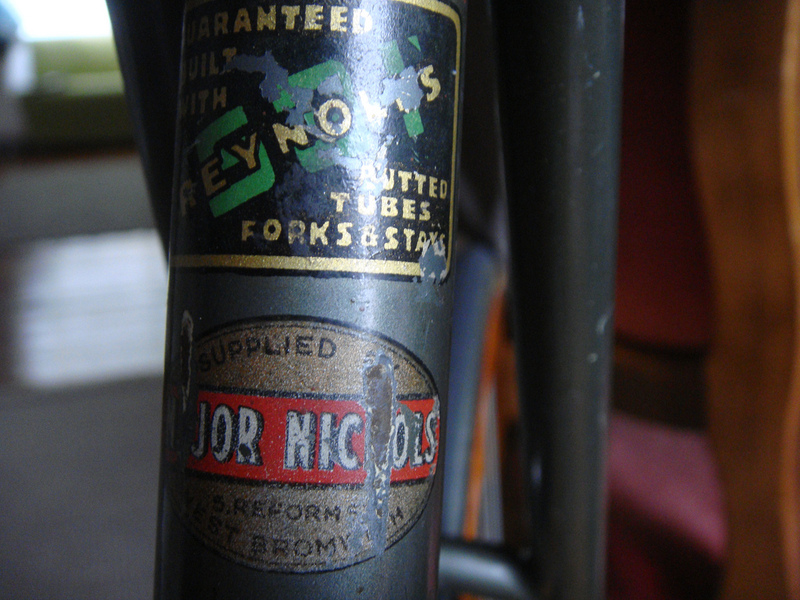 The former was often used on the seat tube. These were used for the remainder of his builds from 1971. They are the ones everybody recognises as his head and seat tube badges from his Smethwick shop. 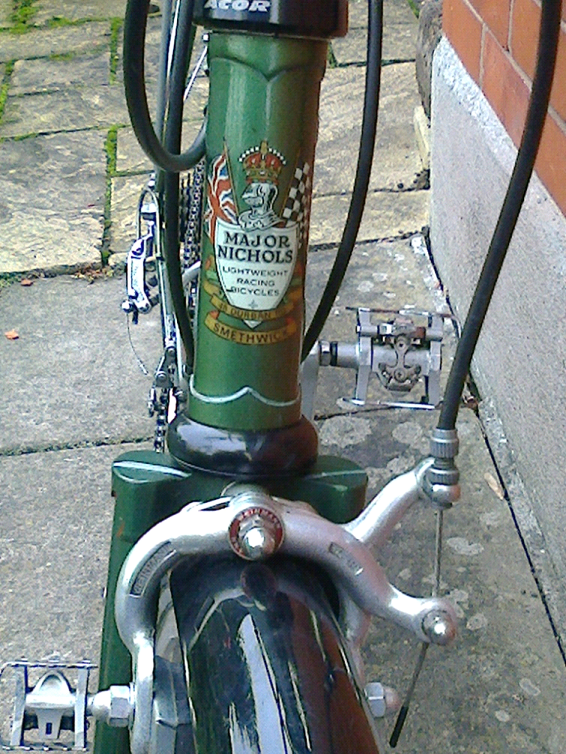 The Knights Head and Shield Transfer came in several versions of the shield as an extra decoration most usually on the top of the fork blades as here. This is rumoured to indicate a better quality frame and was also placed at the top of seat tubes and tops of downtubes. An Autograph Major Nichols Knight’s head and shield. There is no current illustration. Hopefully one will follow soon. We know it exists. We have to do some more work to establish the dates used. The autograph shield seems to have started in the 1960’s, possibly earlier on top custom machines and those generically called Records. 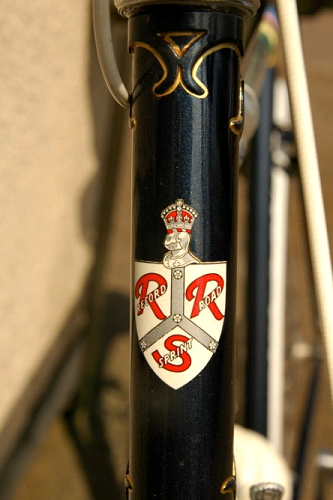 The RRS relates only to Major’s Record Road Sprint model. These were used on the top of fork blades and sometimes at the top of seat and down tubes. Only the Autograph Script white with black outline are commercially available from H Lloyds. 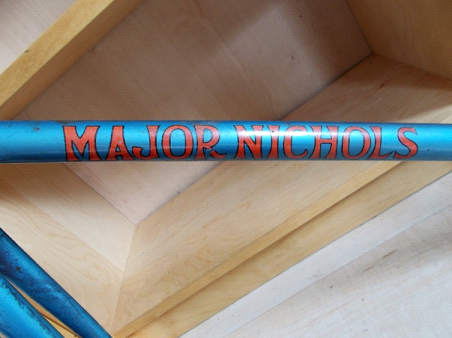 The rare Major Nichols early block script with the ornate underscoring of the name with a tail from the initial M of Major to the terminal S of Nichols. Used from 1954, possibly earlier. There are no reproductions available. The Gothic Script down tube Transfers were available in white with a black outline and red with a black outline. The latter are not available off the shelf presently. 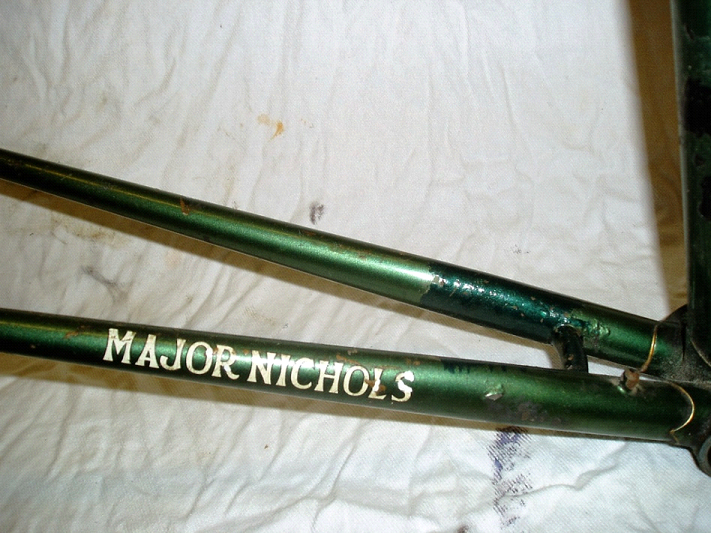 The Gothic Script seat tube Transfers were available in white with a black outline. These were only, in so far as I am aware, available only in white with a black outline. They were in vogue on the top quality machines from the late 1960s onwards. Latterly when Major was running short of proper seat and head badge transfers he used the knight’s head with the top of the shield alone as a substitute made from his stock of knight’s head and shield badges. He couldn’t afford a new run of transfers at that time. Found in August 2016 thanks to Doug Pinkerton, this may be the last outstanding transfer we expected to exist, based on the crown and shield series with added acanthus leaves in gold and the West Bromwich band. 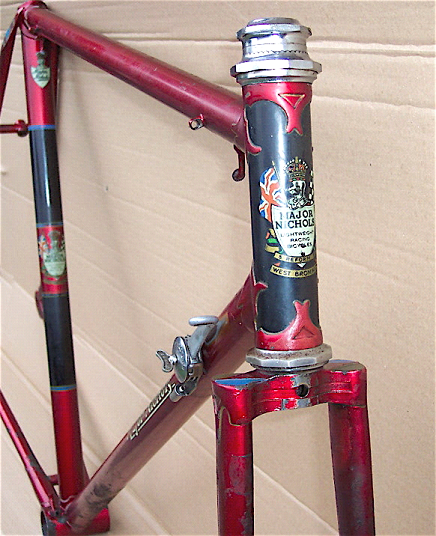 The Red Crown and Shield transfer is rare but one or two do turn up on non MN frames on head tube and seat tube as well. As yet we know very little about it. There are no reproductions available. This is on a Dawes! This is the only example of this transfer we have seen. There are still one or two originals to be found but be aware that age brings risks and potential problems! Those wanting original transfers and prepared to pay and take the risk can contact Doug Pinkerton who I know has a supply of gothic script downtube white with black outline and one of the Record Road Sprint shield transfers. We recommend H Lloyd, because the artwork is from the original source and the product is fine quality. They also make the approved copies of Reynolds transfers and decals. There are others that produce copies too but we cannot say that their quality, accuracy or dimensions are adequate. We have noted examples where the script is clearly ‘wrong’. There are lots out there who can do the job of providing a stove enamel finish. Some have great experience with Classic machines. My personal experience in commissioning refinishes is very limited. What I have been advised is if you want near perfection then Argos of Bristol are the best of the best, especially if the frame has pitting. But they are expensive. Mercian did the enamelling of his late frames and they still have a fine reputation. A caveat is that I have been told not to take a frame with pitting to them. Having seen their beautiful work on new frames I would certainly have confidence in asking them to refinish an un-pitted example. Bob Jackson too has a fine reputation overall and I am told he has a fantastic workshop too. MN71119 was refinished by them recently and I was very happy with that and their helpful service. Peter Underwood of Classic Lightweights uses Mario Vaz at Hither Green in London for some of his restorations. Please don’t have your precious frame powder coated. It will diminish the detail of lugs due to the thickness of the coating and transfer and decal adherence can be a problem. The surface is not like the original finish. Many thanks to Alvin Smith and Felix Ormerod and all the owners who have contacted us and provided photos past and present. Some are from open source so thanks to them too. Our usual caveats apply and we will remove any photos that the creator wishes. Major made frames for other dealers. 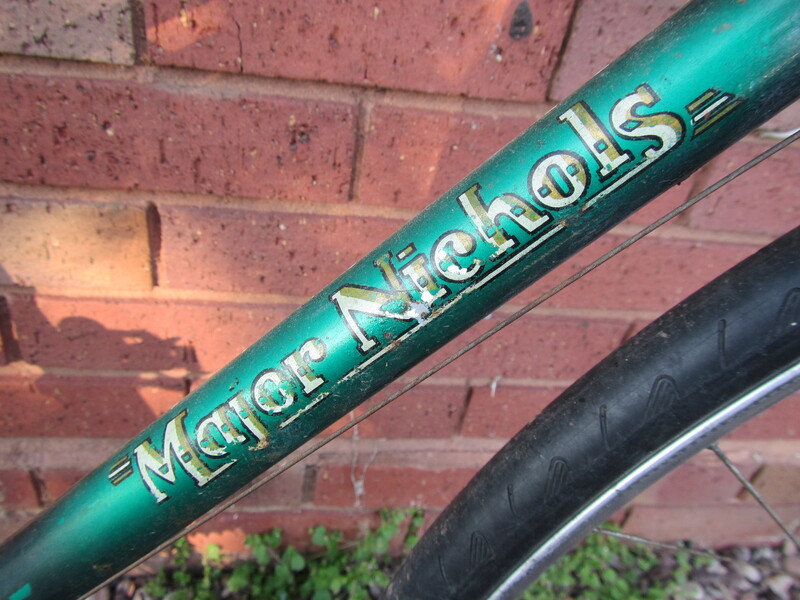 We understand that he arranged for transfers in the late 1970’s/early 1980’s for his friend, the rider and dealer, John Williams of Neath in his (Major’s) own gothic script and John’s own design of head and seat tube, fork and seatstay transfer. See MN 71119. Contact me via the website for more information on John’s transfer availability.